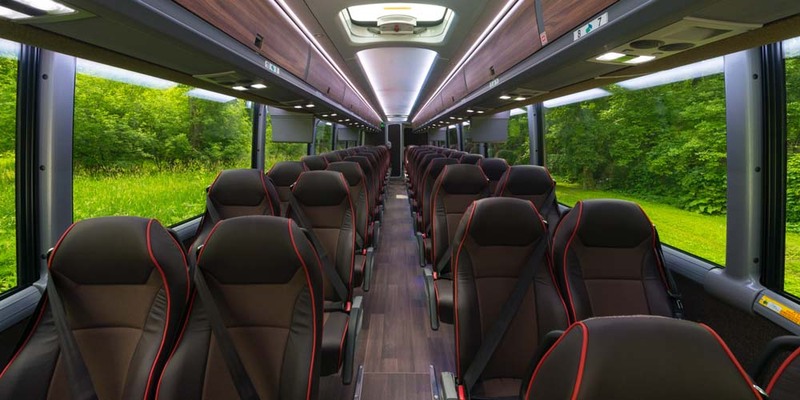 Arrow Stage Lines delivers exceptional charter bus transportation. Arrow Stage Lines is based in Kansas City, but is equipped to cover the entire state of Missouri. The KC office manages one of the most diverse portfolios in the charter bus industry and is home to the most experienced professionals. The KC office does everything from airport pick-ups, large-scale athletic transportation to entertainment and VIP services. Arrow Stage Lines has some of the industry’s top drivers. 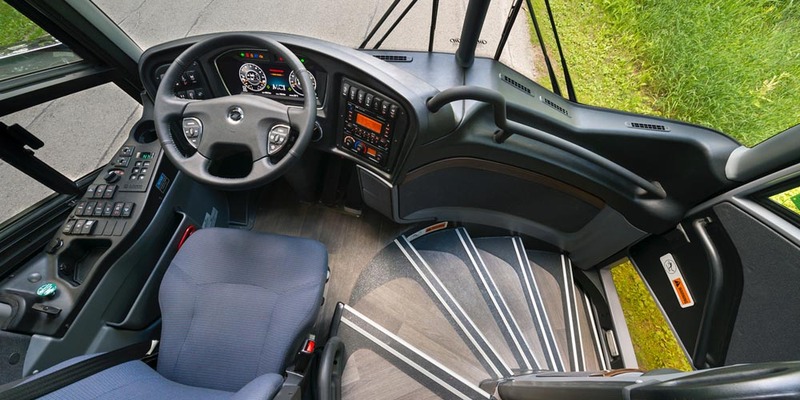 All drivers must complete 90 hours of pre-operational education and training, continuing education courses and maintain Eco Sustainability Certifications. Arrow’s Superior Safety is backed by rankings and metrics that place company ahead of 95% of other carriers, nationwide. Our team will do everything we can to ensure your transportation is early or on-time to your departure location. 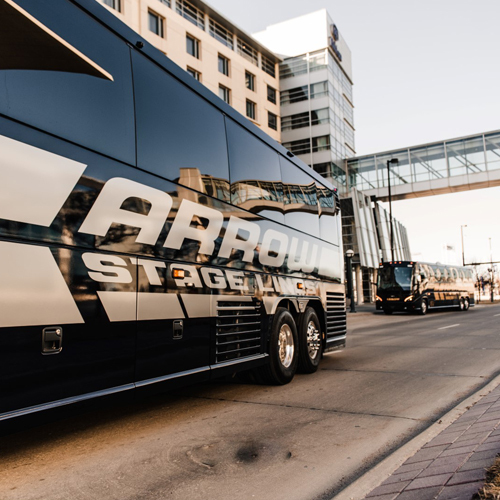 The Arrow Stage Lines’ team is committed to delivering confidence in charter bus transportation is on going. 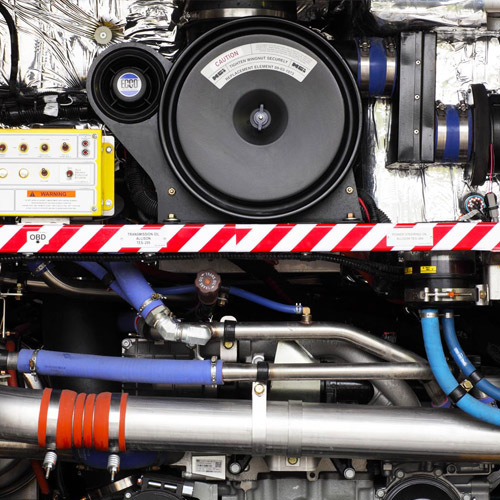 Our teams strive to improve our On-Time Performance, Superior Safety, and Elite maintenance programs, everyday, to help provide our amazing customers with the best service in the industry. The On-Time Promise is our dedication to making sure your trip departs on schedule. Our teams value your schedule and will do everything in their power to ensure your transportation is early or on-time to you departure. Based on customer feedback, in 2018, Arrow Stage Lines registered a 97% on-time performance record: no road conditions or weather delays were taken into consideration. Safety is an important aspect of any travel decision, and one of the main reasons we place so much emphasis on our Superior Safety program. 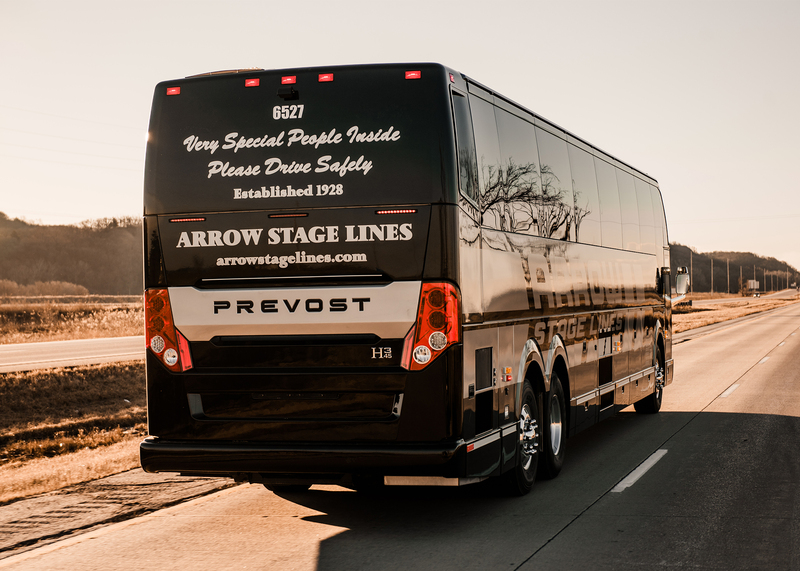 Arrow Stage Lines safety record outperforms the competition with an overall safety performance that is better than 95% of other carriers, nationwide. In fact, Arrow Stage Lines is 1 of 16 carriers to receive the Trax Insurance President’s Circle Risk Control award. 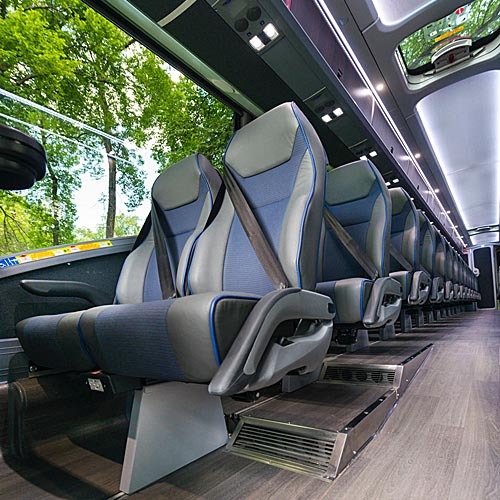 Elite Maintenance keeps you moving toward your destination in comfort and style. You could charter over 130 trips with Arrow Stage Lines and never experience a breakdown of any kind. 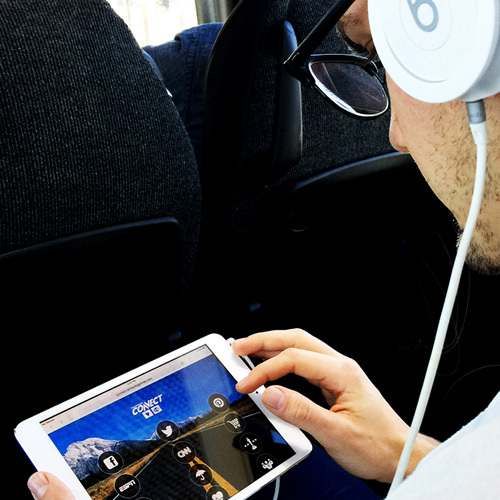 On average, our charter buses travel over 60,000 miles per coach without a disruption.